View More In Spark Plug Thread Repair Kits. 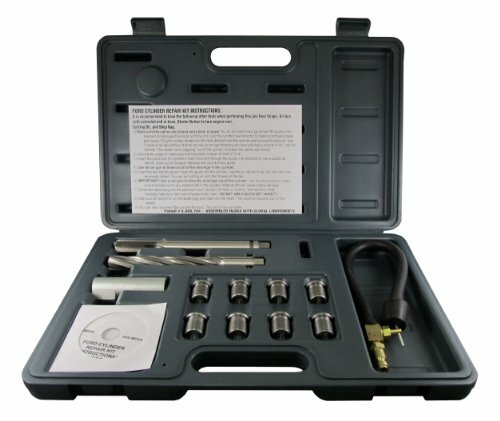 CTA Tools 2367 Ford Triton Spark Plug Repair Kit-1.9, 3.8, 4.6, 5.4 and 6.8-Liter (’96-’03) is designed with over-sized, alloy steel inserts that provide new threads on blown spark plugs. The 2367 repairs other brand inserts that fail and supersedes CTA Tools 98140. Whether tuning up your '68 Corvette or changing the oil on a John Deere tractor, CTA can supply you with the tools needed to do the job. California Prop 65 - Warning, This product contains chemicals known to the State of California to cause cancer, birth defects or other reproductive harm.